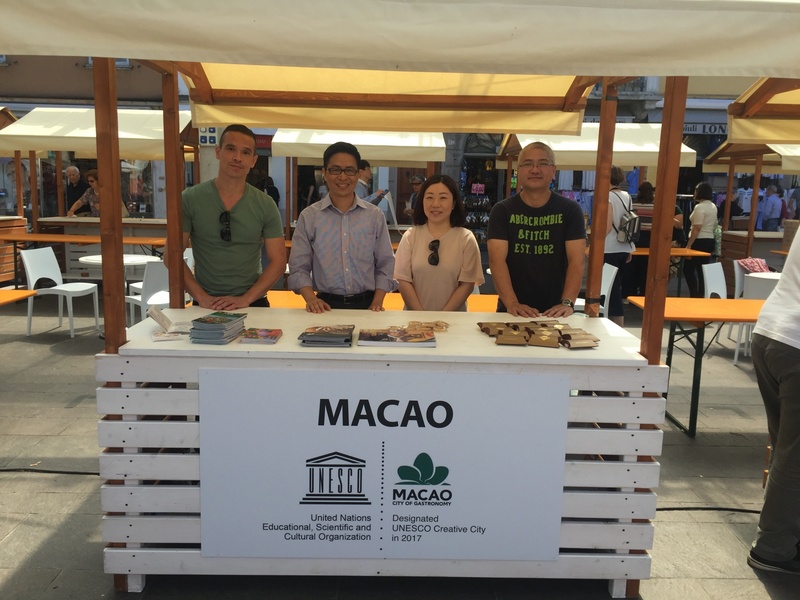 Macao Government Tourism Office (MGTO) attended the City of Gastronomy Festival in Parma from 2nd to 3rd June at the invitation of this Creative City of Gastronomy in Italy, seizing the opportunity to manifest Macao’s new status as a UNESCO Creative City of Gastronomy and meet with representatives of Slow Food International to gain a deeper understanding of the international slow food culture. MGTO Deputy Director Cheng Wai Tong was on the mission. 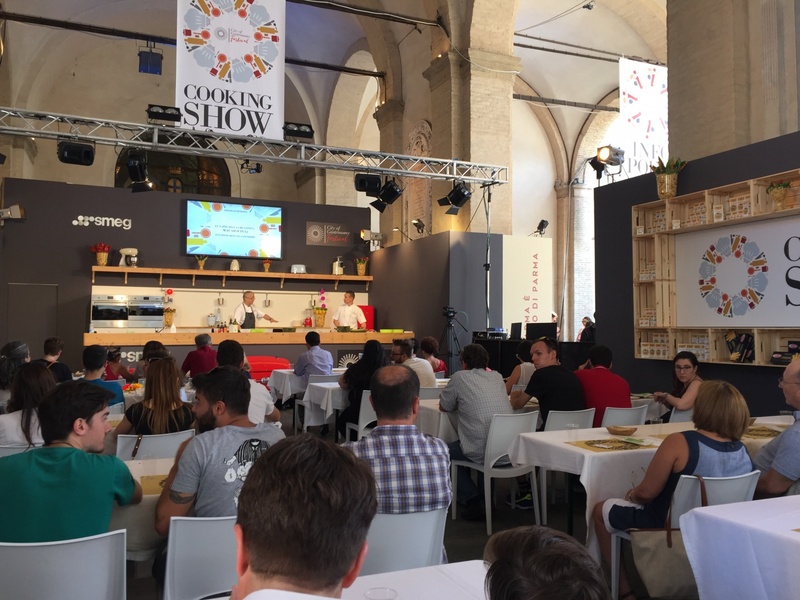 The City of Gastronomy Festival aims to open the eyes of UNESCO Creative Cities Network (UCCN) members to the gastronomic culture and traditions of Parma, while offering a platform for them to showcase their food scene and exchange foresights. The Festival was joined by representatives of eight UCCN member cities in the field of gastronomy, namely Gaziantep (Turkey), Bergen (Norway), Tsuruoka (Japan), Macao (China), Paraty (Brazil), Dénia (Spain), Belem (Brazil) and Alba (Italy). 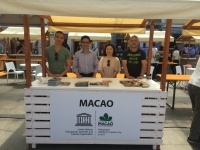 The Festival was staged in the heart of Parma in Italy, where MGTO set up a stand for Macao at the expository UNESCO Area at Piazza Ghiaia and joined hands with the Institute for Tourism Studies (IFT) to showcase Macao’s destination glamour and distribute almond cookies to local citizens, marking its presence as a newly-designated UNESCO Creative City of Gastronomy. Food and Beverage Executive Assistant Manager of IFT, David Wong and Food and Beverage Chef de Cuisine of IFT, Hans Lee Rasmussen, demonstrated the culinary skills of Macanese cuisine at the cooking show held at Piazza Garibaldi. The two-day event also featured pop-up restaurants, meetings, talk shows and kids labs, drawing a multitude of local and visiting spectators for a lively scene. Riding on the occasion, MGTO visited the University of Gastronomic Sciences and had an official meeting with representatives of Slow Food International, an association based in Italy, to exchange perspectives and learn more about the international culture of slow food. 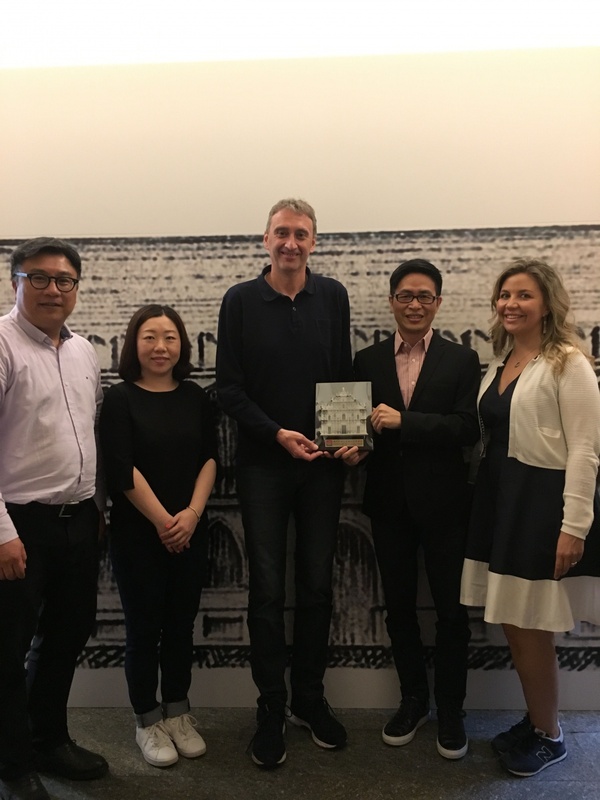 The representatives include Secretary General of Slow Food International, Paolo Di Croce, East Asia Director of Slow Food International, Carlotta Baitone, and Coordinator of Slow Food Great China, Ling Kuangsung. The Italian city of Parma was designated as a Creative City of Gastronomy by UNESCO in 2015. On this visit, MGTO made its debut with IFT in a cooking show at another City of Gastronomy following Macao’s new designation. Macao was designated as a new member city of the UNESCO Creative Cities Network in the field of Gastronomy on 31 October 2017, having become the third city in China to join UCCN in the field of gastronomy. As pledged on the application, Macao will implement a four-year action plan as a UNESCO Creative City of Gastronomy, with 2018 kicked off as the Macao Year of Gastronomy, a major highlight of the action plan. MGTO will forge ahead to promote and raise the awareness about Macao’s status as a City of Gastronomy, as well as strive for deeper exchange and collaboration with other Creative Cities.